City’s Grandview planning: Will The Drive survive? VANCOUVER, BC – In December, after the November 2014 civic election, the City of Vancouver held a sub-area workshop for the Grandview community plan. It proved to be an exercise in manufactured consent. That charade undermined the Mayor’s pre-election day apology and promise; the promise that if he were to be re-elected the city would listen to the community and be more transparent. Grandview is the neighbourhood centered around Commercial Drive, affectionately known as The Drive. Its boundaries span from Clark Drive to Nanaimo Street and from Broadway north to the waterfront. The Drive has a lively shopping district along Commercial Drive; spectacular private and public views to the mountains and downtown; and it is well served by transit and by the Britannia Community Centre. The Drive is a great neighbourhood that is still affordable for many. This community is a model of diversity, with a broad mix of age, of ethnic, and of economic demographics. Currently 50% of the area is made up of the original heritage character built prior to 1920, generally well maintained and adaptively reused as multiple-suite buildings that tend to be more affordable than new. Many streets are entirely intact with the original buildings. The area also has a large concentration of purpose-built rentals and more social housing than any neighbourhood outside of the Downtown Eastside. Development pressures from rezoning would put all of this at risk. In 2013 the city came forward with a proposed plan for the area that was broadly rejected by the community. The proposed increased tower forms of development were highly criticized and rejected. The planning process was extended beyond the 2014 civic election. That process included creating a Citizens Assembly requiring residents to apply, who were then categorized based on their profiles. The group was selected from each category by lottery. 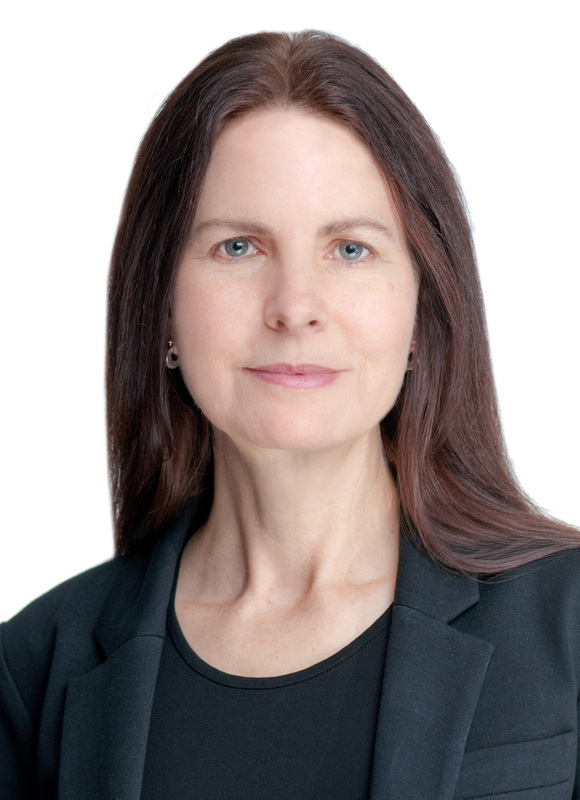 I have been actively involved in the neighbourhood as an owner for over 20 years, and have followed this planning process with sceptical interest. It has been a comedy of errors, yet the potential loss is so tragic for the city. I attended the December workshop on a rainy Saturday before Christmas with a low community turnout. Topics were assigned to each of the multiple tables. Even though most of the neighbourhood is covered with heritage character housing, the topic of heritage was separated from housing. It was included with the topic of arts and culture at a separate table. Faced with this dilemma, I chose the heritage, arts and culture topic table. At my table there were three facilitators overseeing only three from the community and two from the Citizens’ Assembly. Each table had a large scale map of the area with an overlay on which one of the facilitators was to record the comments of the group. The facilitators would stand up and report their summary of the table’s comments to the room where highlights would be compiled by two planners on a master plan on the wall at the back of the room. With each round, a new overlay was started at each table that made a new attempt at getting the answers the city was after. It took little time before all the tables degenerated to a game of Monopoly. The facilitator at our table pulled out a copy of the plan previously rejected in 2013. He proceeded to redraw the rejected plan onto our overlay. When questioned about that, he responded that it was “only for discussion purposes”. After we had discussed it and again rejected it, just as the community had done in 2013, that facilitator still refused to remove it from our overlay. We had to take the pen and cross it off ourselves. The same thing with other misrepresented drawings by that facilitator on our overlays. Other tables shared a similar story, where facilitators and development consultants outnumbered those from the community and the facilitators misrepresented the community’s comments. One table for instance had four city staff and a development consultant outnumbering two people from the community five to two. Finally, the only comments that were recorded on the master plan at the back of the room looked very much like the previous 2013 plan, however showing even more high buildings than those the community previously rejected. It can be expected that the city will misrepresent this as the community’s opinion on future zoning and development. One of the first questions posed by the audience was the most relevant of the day: What is the population growth anticipated for the City of Vancouver and what portion of that would Grandview be expected to absorb? The planner said the city is expected to gain 160,000 people based on regional numbers and that this had not been broken down by neighbourhoods. However, this misrepresents the facts. The growth numbers are based on the Regional Growth Strategy (RGS) approved in July 2011. The RGS used the 2006 census numbers for population and number of housing units, and estimated how much both would increase over 35 years to 2041. This was an increase of about 140,000 people and 75,000 units. Then in July 2013, the City of Vancouver raised this 2006 to 2041 estimated growth to 160,000 people and 97,500 units. As a footnote under a high growth scenario, this was further increased to over 180,000 people and 108,500 units. But there has never been any publically transparent analysis to show how this is growth is determined. Looking at the census, the actual population growth from 2006 to the most recent census in 2011 was about 25,000 people and 13,000 units. It appears that these figures has been added to rather than subtracted from the RGS 2041 estimates. The adjusted estimate from the most recent 2011 census to 2041 should be only 115,000 more people and 62,000 more units. 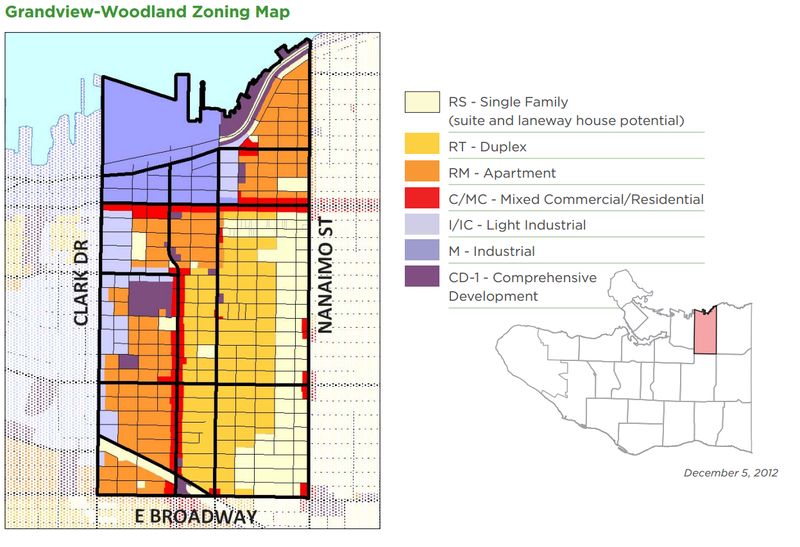 Further, the true number of overall housing units that should be rezoned for as of 2015 would be reduced by the huge amount of zoning capacity that has been approved to date but not yet been built. This includes major projects that were rezoned (e.g. Cambie Corridor, Marine and Cambie, Oakridge, Telus Gardens, Arbutus Mall, False Creek North and South, Shannon Mews, the Rize, etc.) on top of the development capacity under current outright zoning and recently approved community plans in Marpole, the West End, Chinatown, Hastings Corridor and the Downtown Eastside. 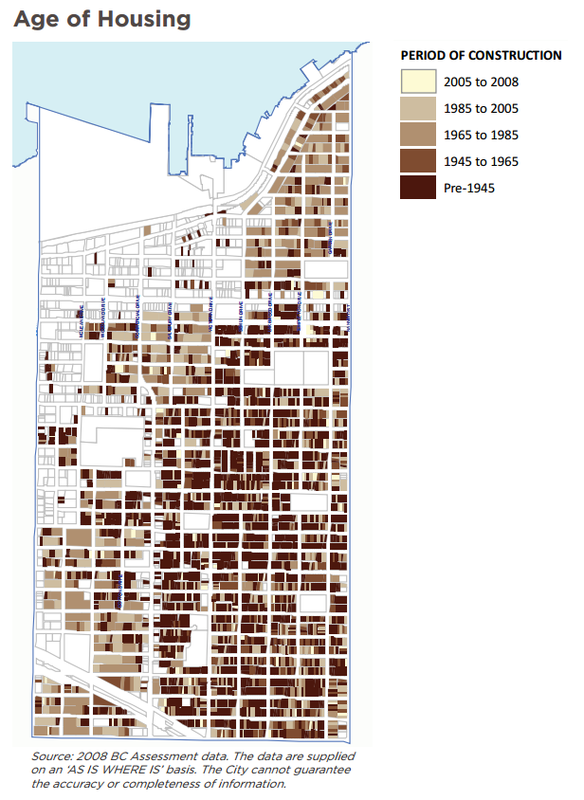 The city is actually overbuilding by approximately 2000 units each five year census period. This has increased the unoccupied units to a total of 22,000 as of 2011. The question is not how we force people to rent out units when they don’t want to, but why are we overbuilding too many expensive units that are only serving to promote Vancouver as a commodity rather than planning communities. Creating a heat island with energy inefficient concrete and glass towers, while removing the urban forest canopy, adds to climate change. We need accurate growth projections so that we can plan for growth in a way that will minimize negative impacts. What most people don’t understand is that all this growth doesn’t make the city money. On the contrary, the city must subsidize growth. The development fees collected by the city only cover a small fraction, about 10%, of the actual costs of servicing the infrastructure for development and the population growth it brings. With all the development that has been completed over that last few decades it has served to increase property taxes and the city’s debt, not decrease them. Of course some growth is inevitable and we have to plan for this. We have done that in spades. But where are the discussions about how much growth we can afford and what the growth limits are to retain liveability, affordability and environmental sustainability? So getting back to the Grandview plan, the existing Local Area Plan currently allows for a broad mix of apartments, townhouses, duplexes, multifamily conversions and single family while protecting heritage character. Grandview was considered under CityPlan to already meet regional objectives of increased density with a variety of housing types. Although there may be some opportunities along Hastings Street and Broadway, the vast majority of the neighbourhood would have much more to lose by rezoning that it would gain. Currently there are no programs to replace the existing purpose-built rentals or social housing with equivalently affordable units. As these existing units are demolished, people are displaced, which is one of the main contributors to homelessness. This farce of a “planning” exercise attempts to manipulate the perception of public support for the unjustified ruin of Vancouver. Professional planning should start with legitimate data and objectives that are to the public’s interest rather than turning it into a game of Monopoly. REFERENCE: See also video by local historian Bruce Macdonald here. This entry was posted in Elizabeth Murphy, The Province and tagged Community Plans, Elizabeth Murphy, Grandview, Heritage, Vancouver. Bookmark the permalink. I wonder what the source is for “22,000 empty units”? Is it the power usage data stats I’ve seen cited elsewhere?